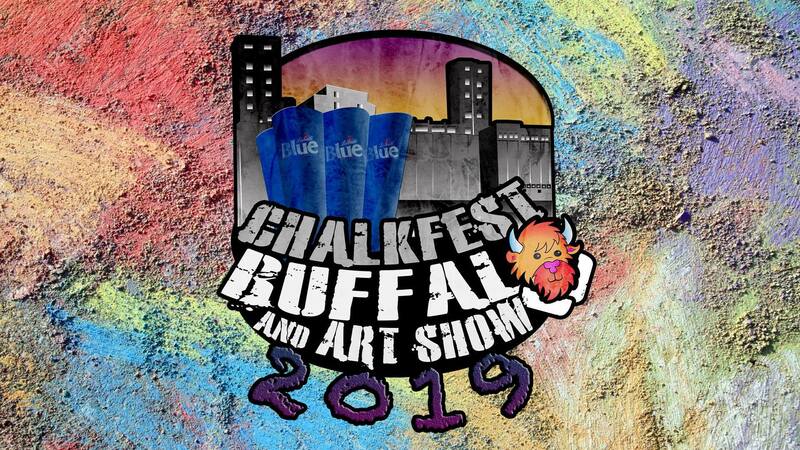 Chalkfest 2019 is back and better than ever at Buffalo RIverWorks! We had an amazing turnout in 2018 and are making some improvements for 2019! Bigger prizes, more artists, new locations to chalk!! Vendor and Sponsor sign up are now open! Artist sign up will begin soon! THIS IS A FREE EVENT FOR CHALK ARTISTS AND SPECTATORS AS ALWAYS! The dates for this year are September 14th & 15th! The theme as always will be Fall / Halloween, we want you to get as creative as you can! 3D images, you favorite films, books, original creations! Let your creativity shine through!! This year we will be adding new fun areas to chalk, and will still include inside the GLF silo and outside under the zip lines! Vendors can sign up for both days of the event for only $100 or $150 with electric! www.chalkfestbuffalo.com to sign up and for more details and photos from last year!